Modern recycling and disposal practices are not always suitable for sensitive and defective materials that could end up for sale in a “Grey Market”. 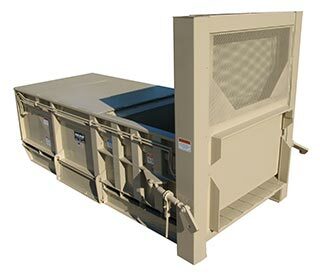 WSC offers product destruction rendering products of all types incapacitated from their original intended purpose. WSC not only provide documentation but offers a live video feed of your product in our warehouse as well as being destroyed via dedicated online access to our camera system. The best way to validate your product is rendered useless in a “Grey Market” is eye witness of the product destruction process. Although eye witness is the best method, time sensitive or geographical restrictions could prohibit our clients from being onsite for the warehousing, destruction process, and end of life disposal. WSC welcomes our customers to be onsite for the destruction of their product yet if unable to attend WSC offers live video feed of our staging area within our secure warehouse as well as the destruction process on a dedicated website with customer specific log in credentials. WSC handles product destruction in a professional and confidential manner eliminating product entry into both wholesale and retail markets. Whether your products are recalled, manufactured improperly, out of date, expired, or part of a patent infringement lawsuit WSC can properly handle not only the destruction process but the extraction of the product from retail or distribution level throughout the Country. Just as your product is specific so is our process for extraction and destruction. Your product will be documented each step of the way from extraction to final end of life location. Each step will be carefully monitored, at the end of the project our clients hold a notarized certificate of destruction, recorded video documentation of the destruction as well as recorded video of the disposal at the end of life facility. During the process of warehousing and destruction you will be able to view your product in our staging area as well as live destruction via dedicated website and login credentials specific to your project. Product destruction is a serious and sensitive matter for our clients. Insist on step by step signed documentation of product location, notarized certificates of destruction, and live video feed of your product while warehoused and not only the destruction but also the disposal at the end of life facility. Contact us today to discuss your project and receive our no obligation consultation!